It has recently been reported that, according to scientists, time travel into the past is probably not possible. So we are stuck with the tried and true ways of touching history: a book, a movie, a play, and travel. Sometimes, some coins in a slot is all you need. They buy you a story, an eyeful of strobing shadows through the binocular lenses of a nickelodeon. There is also the story that unrolls itself on railroad tracks, paid for with some Euro coins in a ticket machine, and revealed through the strobing light and color of the German countryside zipping by the windows of an S-bahn train from Munich. I took a train into a story of the past. I took a train to Dachau. Before I left to meet my wife for a week in Germany, my brother asked me, in that goofy, cynical way he has, “Oh. Germany. Are you going to a concentration camp?” I cannot wait to tell him that I did, that I actually took a train there. It’s a quirky dark irony to which, I think, perhaps only children of Holocaust Survivors can relate. But in the interest of full disclosure, we did not actually step off a steaming train by the old gate house, waiting to be marched past the “Arbeit Macht Frei” [“Work Will Set You Free” – a cruel Nazi joke] sign in the gate door. 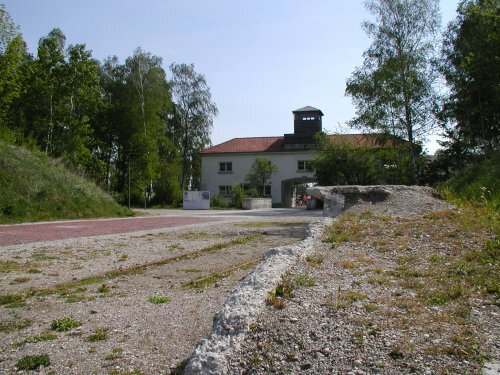 We had to take a public bus, along with loads of other tourists, from the town of Dachau’s main train station. But this is not a travelogue. This is about a journey, a pilgrimage to a horrible place from a horrible time. It is about where the unimaginable started, and it presents an opportunity to talk about the political and social relevance to our time. 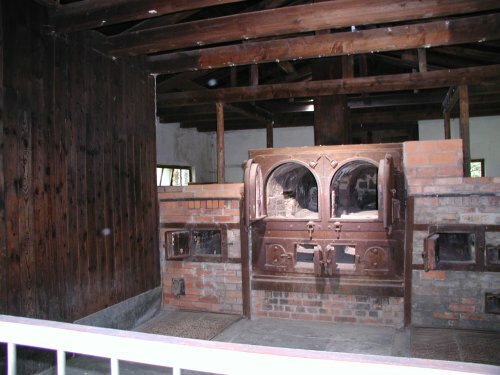 After all, what began in Dachau is the scale by which all unsavory, modern political and military actions have been measured. Some say such comparisons tend to dilute, or even disrespect, the magnitude of the death of compassion those terrible times signify for so many. They may be right. On the other hand, all those horrors that my parents and millions of others went through were allowed to happen because each call for counteraction was ignored and unheeded. In this extreme case, ignorance was not just bliss; it was murder. State sanctioned discrimination, then arrests and deportations, then pogroms and finally genocide – each happened with barely a murmur of shock from the world community. 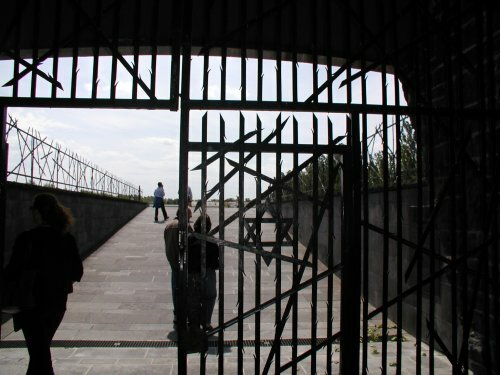 If one defines a “holocaust” as any one of those actions being allowed to happen by an apathetic world, then it is easy to see the tragedy in the former Yugoslavia in the same terms as Darfur and in the same terms as George Bush making political arrests without due process and allowing torture. After all, the Nazis did these things too. Therefore, regardless of where one stands on the issue of comparisons, we still have a responsibility to speak against all these things, whenever and wherever they happen. That the Nazis were permitted to commit all of these, and so many more, unimaginable horrors, shows how important it is to pay attention to each act an unrestrained government takes on its own people (or others) on their own behalf. But using a page from the Nazi playbook does not make Cheney into Goebbels or GW into Hitler (Putin’s recent allusions notwithstanding). Still, if we continue to allow any branch of our government to support and fund these bad policies, we will be just as guilty as the Germans who were mostly silent while their government ran a cold scythe across Europe. In this there is no breakdown of comparisons. Apathy is apathy. 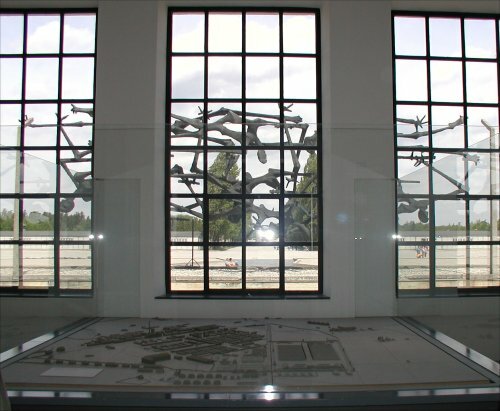 When I stepped through the gate into Dachau, and I saw the reminders of the murder, torture, political arrests and medical experiments, I was in that time seventy years ago, feeling the dust blowing across the enormous assembly ground. Then, when I read about shipping people to a prison camp at a former armory, holding them without due process, arresting them for their political and religious beliefs, of course I thought of Guantanamo Bay and no habeus corpus and renditions that our happening while we watch. 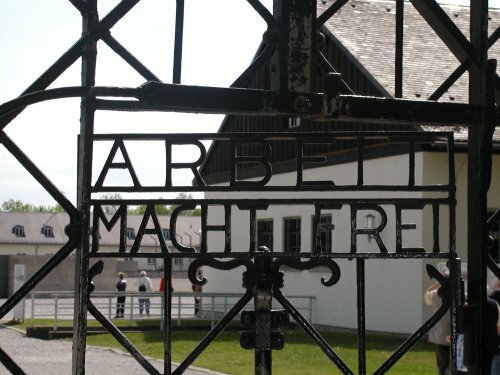 When I got on that train to Dachau, I was traveling to a place in time that I was able to feel, to see, to learn about. 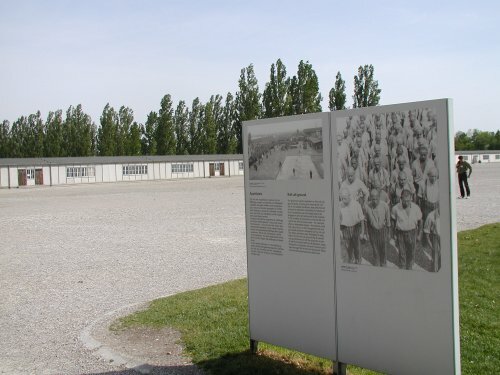 When I returned to my own time, I came back with the sad, certain knowledge that the apathy that allowed Dachau to happen is still in the world. The Universe, it seems, called on me to take notice of the timelessness of the experience. 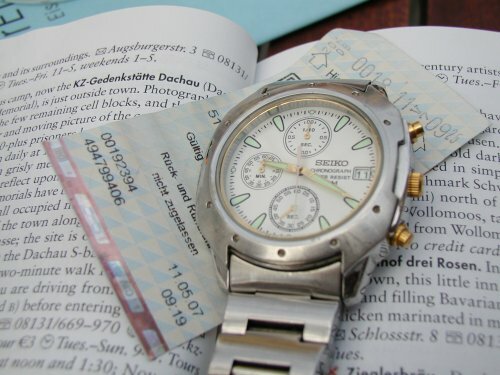 You see, the exact minute I dropped my coins into the ticket machine in Munich for that train trip back in time, my watch literally stopped.